At Train Safaris we take care of your Rovos Rail and Blue Train reservations. 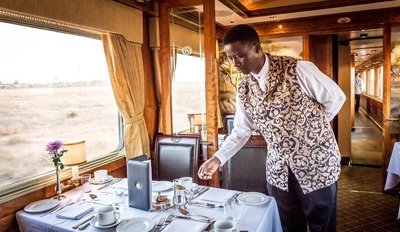 Our Southern Africa travel specialists have years of experience and are also at your service to share their product knowledge with the planning of your pre- and post train travel arrangements. By having one point of contact you are not only saving valuable time, but also money by benefiting from our travel industry rates. 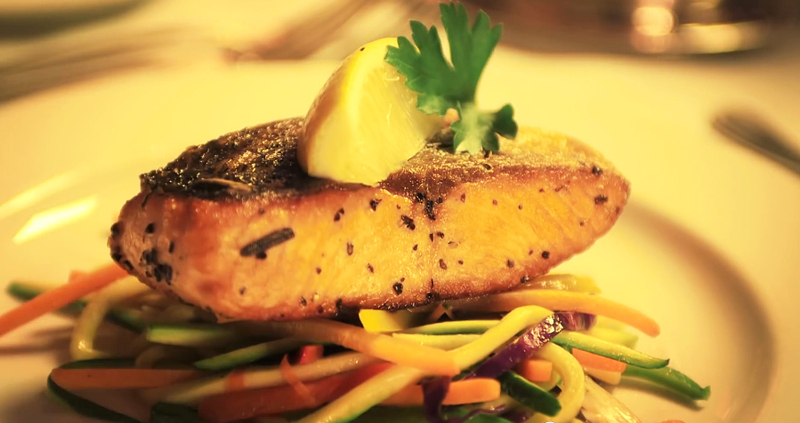 With our travel experts on 'the ground' you can rest assured that you are in good hands. 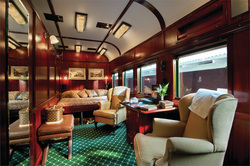 Combination of the Cape Town and Victoria Falls Journeys, spend 6 nights on Rovos Rail and 1 Night in Pretoria. Highlights: Rovos Rail between Cape Town and Victoria Falls, off-train excursions include Matjiesfontein Village, Kimberley Big-Hole, Game Derive Excursion. Pre- and Post Tour Extensions Available in Cape Town and Victoria Falls. 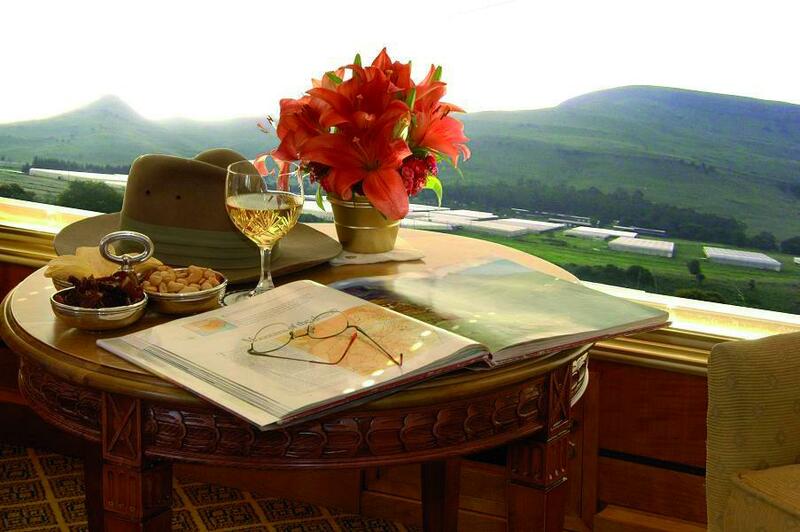 Highlights: 9 Days, Golf at Sun City, Champagne Sports Resort, Durban Country Club, Royal Swazi Sun and Leopard Creek. 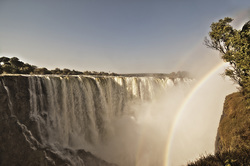 Non-golfers program includes Safari Game Drives, Battlefields Tour, Durban City Tour and Kruger Park Safari. 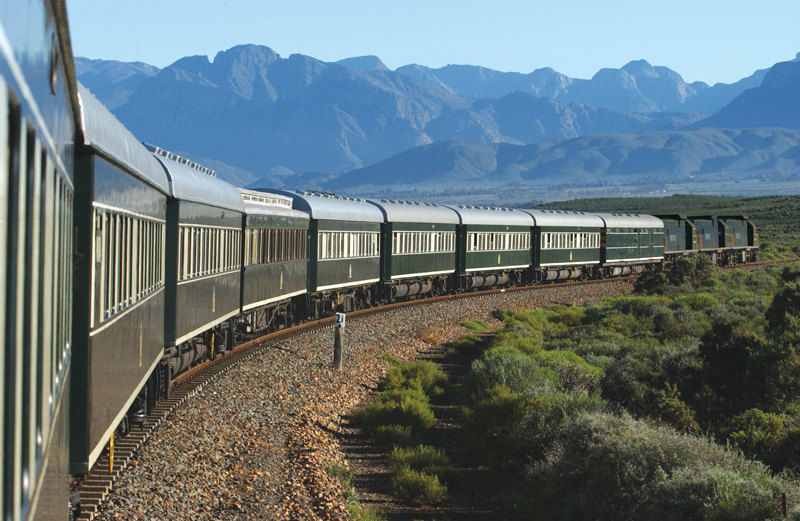 ﻿Rovos Rail’s 9 Day Namibia Safari is an annual 3400km odyssey, traversing some wonderfully diverse African landscapes. You travel from the open lands of South Africa’s Highveld, to the cool Atlantic Ocean in Namibia. 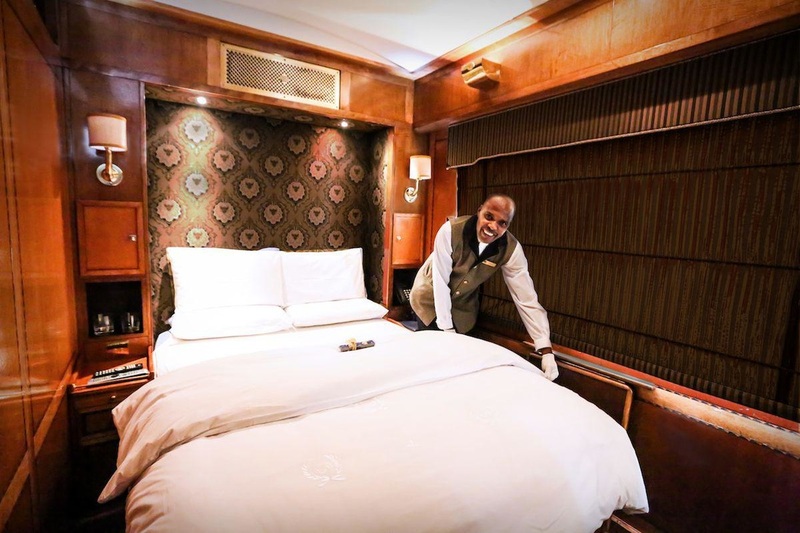 Your luxury Train Safari highlights included the Karoo, Kalahari Desert, Fish River Canyon, Windhoek, Sossusvlei, Etosha Pan Safri and Walvis Bay. 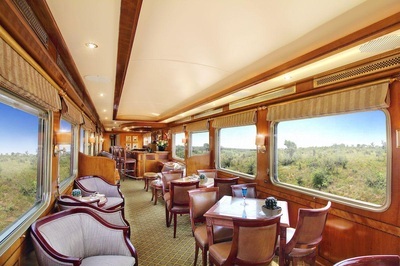 The Blue Train route between Pretoria and Cape Town is a 31-hour journey of 1600 kilometres through diverse and spectacular Southern Africa scenery. The train departs Pretoria usually on a Monday morning at 08h30 arriving in Cape Town the next day at 15h00 in the afternoon. The return journey departs on a Wednesday morning also at 08h30 and arrives in Pretoria at 15h00. 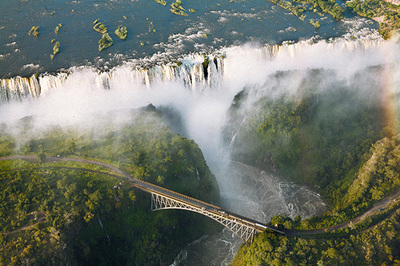 Midrange holiday combining the Essence of South Africa with the world-famous Victoria Falls and a journey on the Blue Train. 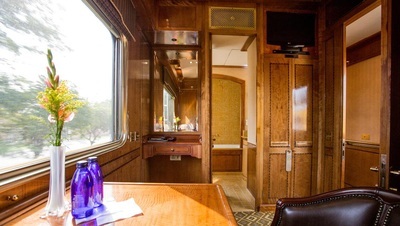 Your adventure starts at a private safari reserve near the Kruger Park. Flying to Cape Town, guided tours take you to the city, Table Mountain, Cape Point and the Cape Winelands. 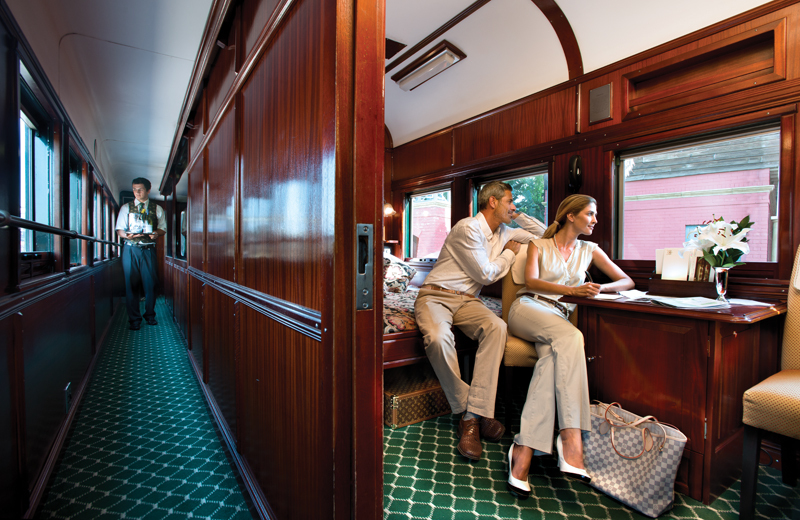 Board the luxurious Blue Train to Pretoria for guided tours of Pretoria and Soweto. A stay in Victoria Falls with guided activities will be rounding off your Southern Africa journey.